Cathodic Protection (CP) is an electrochemical process where DC current is applied to a metal to slow or stop corrosion currents. When properly applied, CP stops the corrosion reaction from occurring. Cathodic protection works by placing an anode or anodes (external devices) in an electrolyte to create a circuit. Current flows from the anode through the electrolyte to the surface of the structure. Corrosion moves to the anode to stop further corrosion of the structure. On an unprotected pipeline, there are naturally occurring potential variations. Wherever you go from a minor positive to a minor negative, there is a current flow where galvanic corrosion will occur. 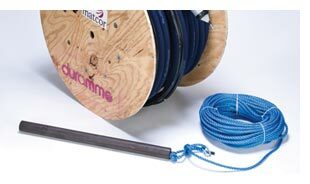 (13:45) If you put CP on that pipeline, for example MATCOR’s linear anode that runs parallel to the pipeline, current is discharged off of the anode and onto the pipeline, preventing corrosion. Corrosion is a leading cause of premature failure in metallic structures. Operators can extend the service life of their facilities and equipment by installing cathodic protection systems and testing them regularly. CP systems can be designed for maximum life and ease of replacement. A wide range of civil and industrial applications have used these systems to prevent corrosion for many years. They are typically installed during original construction, major expansions or upgrades. 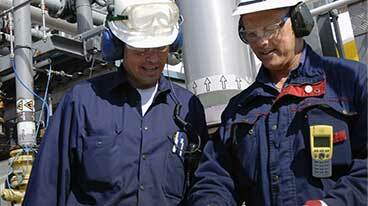 Our systems are typically designed to operate for 30 years or longer. 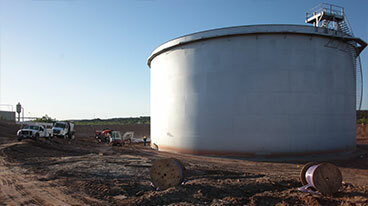 CP Systems protect infrastructure assets such as above ground storage tanks, buried pipelines, reinforcing steel in concrete structures, heat exchangers, marine piles, sheet pile walls or other metallic structures from corrosion. What are the Two Types of Cathodic Protection Systems? Cathodic protection is a means of preventing metal structures—such as pipelines and storage tanks—from reacting with the environment and corroding. When exposed to the environment, carbon steel and other metals break down electrochemically and ultimately fail. Cathodic protection systems prevent the oxidation process from occurring by creating a current flow from the system to the structure. There are two basic types of cathodic protection systems: galvanic and impressed current. Galvanic corrosion is an electrical-chemical process where one metal is more susceptible to corrosion than another when both metals are linked electrically. Galvanic (also called sacrificial) anodes utilized to protect steel structures are an example of galvanic corrosion, where the galvanic anode corrodes to protect the structure. In a galvanic system, the anodes connected to the protected structure have a natural potential that is more negative than the structure’s. When connected current flows from the anode (more negative potential) to the structure (less negative potential) in a DC circuit. In many applications, the potential difference between the galvanic/sacrificial anode and the steel structure is not enough to generate sufficient current for protection to occur. In these cases, a power supply (rectifier) is used to generate larger potential differences, enabling more current to flow to the structure being protected. This is referred to as an impressed current cathodic protection (ICCP) system. Design engineers possessing the right expertise and knowledge of the structure to be protected from corrosion should perform all phases of cathodic protection design. To get in touch with our team of cathodic protection experts for more information, to ask a question or get a quote, please click below. We will respond by phone or email within 24 hours. For immediate assistance, please call +1-215-348-2974.